The Battle of Sobraon was fought on 10 February 1846, between the forces of the East India Company and the Sikh Khalsa Army, the army of the Sikh Empire of the Punjab. 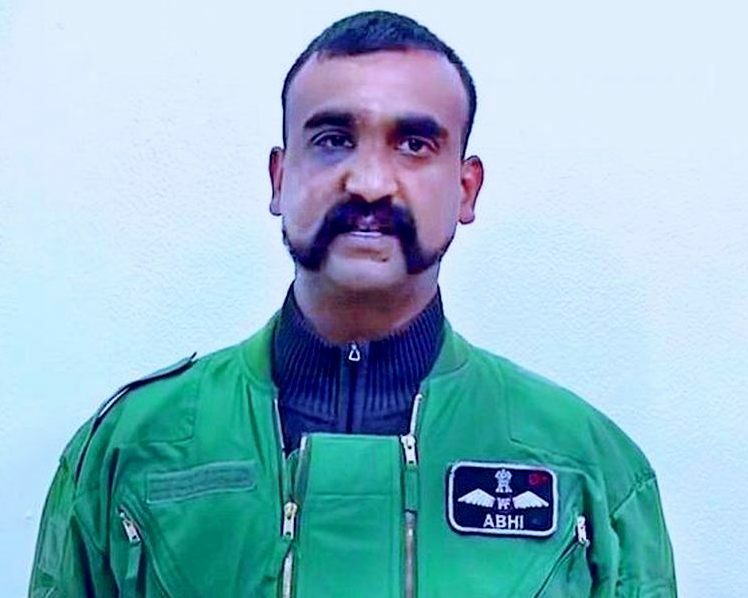 1st Mar 2019, was a Happy Friday for the Nation, as we celebrated the return of Indian Air Force (IAF) Wing Commander AbhinandanVarthaman, who had been captured by Pakistan after the MiG-21 Bison jet that he was flying crashed. The IAF pilot returned to India from Attari-Wagah border at around 9:20 pm, where thousands had been waiting for hours for a glimpse of him. Prime Minister Narendra Modiji and other leaders welcomed the brave pilot. As the Nation waited with bated breathe, expecting the Wing Commander in the AN – it got delayed. According to a report in news agency PTI, the IAF pilot’s return was delayed as he was asked to record a statement on camera by Pakistani authorities before he was allowed to cross the border. The recording released on the official Twitter handle of Government of Pakistan was later deleted. It was reported that Indian govt proposed his return by air by a special flight but Pak wanting to showcase this – stated that they would release him only at Wagah border. The daily beating retreat and band ceremony at the Attari-Wagah border was cancelled on Friday as India waited for the return of Indian Air Force pilot AbhinandanVarthaman from Pakistan. .. .. all news and media spoke about Wagah border. 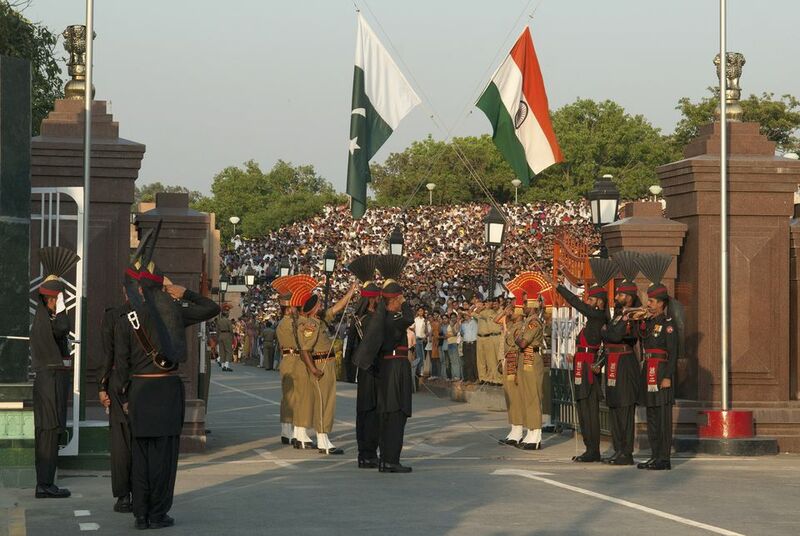 Much has been written about the ‘beating retreat’ at Indo-pak border .. .. The 'lowering of the flags' ceremony is a daily military practice that the security forces of India (Border Security Force) and Pakistan (Pakistan Rangers) have jointly followed since 1959. The ceremony starts with a parade by the soldiers from both the sides, and ends up in the perfectly coordinated lowering of the two nations' flags. A couple of years back, it was mutually agreed and the troops have abandoned aggressive postures adopted during the daily beating the retreat ceremony held at sunset. As multitudes wait to watch the event unfold daily - 'Please don't raise slogans other than Bharat Mata ki Jai, Hindustan Zindabaad and VandeMataram,' the parade anchor repeatedly cautions the audience that has gathered to witness the beating retreat ceremony. Emotions run high among all those who have gathered here. Last year, the Pakistan cricket team visited Wagah border to witness the flag-lowering ceremony following a request of Pakistan Rangers after concluding their training camp for the Test tour of Ireland and England. The immature bowler Hasan Ali entertained the crowd with his trademark celebrations without realising ever that this is a different field altogether and his gestures had no meaning. Hasan Ali entered the drill and performed his signature wicket-taking gesture towards the Indian armed force. .. .. what we should be knowing is ~ we should refer this significant place as ‘Attari’ and not ‘Wagah’ ! ~ somehow you see the latter used in the media often !! Wagah is a village and union council (UC 181) located in the Wahga Zone of Lahore, Punjab, Pakistan. The town also serves as a goods transit terminal and a railway station between Pakistan and India. Wagah lies on the historic Grand Trunk Road between Lahore and Amritsar in India. We should only be referring this place as ‘Attari border’. Attari, also spelled Atari, is a village of Amritsar District in the Punjab state of India, situated 25 km west of the Sikh holy city of Amritsar, and is the last Indian station on the rail route connecting Lahore, Pakistan with the Indian capital Delhi. Attari village was the native village of Sardar Sham Singh Attariwala, one of the generals in the Army of Maharaja Ranjit Singh. It is the starting point of the National Highway 1, part of the historic Grand Trunk Road and is also part of AH1, the longest route of the Asian Highway Network. Administratively Attari is one of the five sub-Tehsil and a block in Amritsar district. Sham Singh Attariwala (1790 - 1846) was a general of the Sikh Empire. He was educated in Gurmukhi and Persian. When Ranjitsingh became the Maharaja of Punjab, he got Attariwala's services at his disposal. 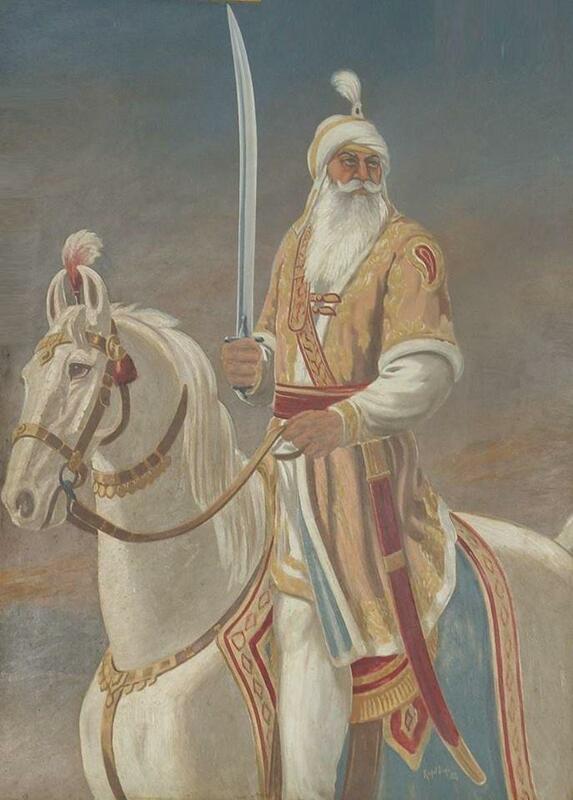 Maharaja Ranjit Singh knowing his qualities and fighting abilities made him a 'Jathedar' of 5000 horsemen. He participated actively in many campaigns, notably like the campaign of Multan, campaign of Kashmir, campaign of the Frontier Province etc. Sham Singh Attariwala is also famous for his last stand at the Battle of Sobraon. He joined the Sikh military in 1817 and during the Afghan–Sikh Wars participated in the Battle of Attock, Battle of Multan, Battle of Peshawar, and the 1819 Kashmir expedition. Atari Shyam Singh railway station is located in Amritsar district in the Indian state of Punjab and serves Attari and the Wagahborder with Pakistan. In May 2015, Government of Punjab changed the name of station to Atari Shyam Singh railway station after Sham Singh Atariwala who was general in the Sikh Empire. So let us make every reference to this border by the martyr name ‘Attari’ – Wagah has no significance for us – but was it by any political design, that it we have all along heard it referred as Wagah and not as ‘Attari border’.